Inspired by the fire-benders of Avatar: The Last Airbender, the two wanted to make sure their wedding was unforgettable! 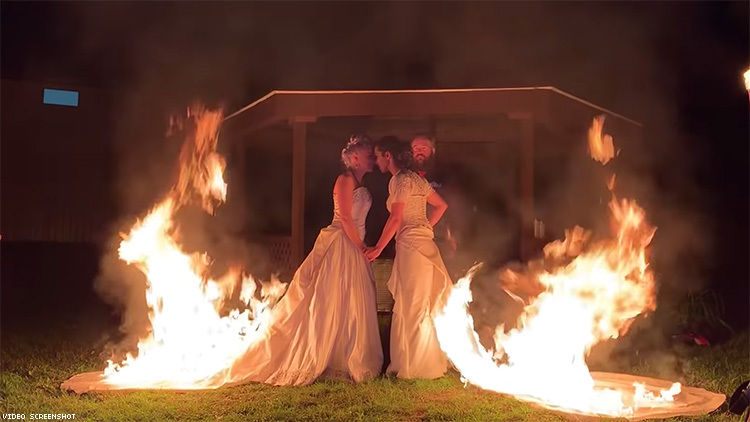 A lesbian couple who have spent years professionally playing with fire set both their dresses ablaze while saying "I do" on October 13. When April Jennifer Choi and Bethany Byrnes tied the knots after seven years of dating, they wanted to incorporate their love of pyrotechnics into the ceremony. “What we enjoy the most about performing with fire is feeling like a firebender from Avatar: The Last Air-Bender,” Choi, a fire performer who holds multiple Guinness World Records for whip-cracking told PinkNews. For their ceremony, Choi and Byrnes decided to set their detachable wedding gown trains on fire. “I was just running through if we missed anything. Are we posed correctly? Are the slits adequate? Is Beth okay? Is she nervous? Is the fire climbing correctly? Is there any way I can comfort her better?” remembers Choi. "By the time I started answering my own questions, Beth hopped out of her dress and then I double checked that she was OK, then hopped out of my own." As their astounding wedding photos went viral, the two received homophobic comments. 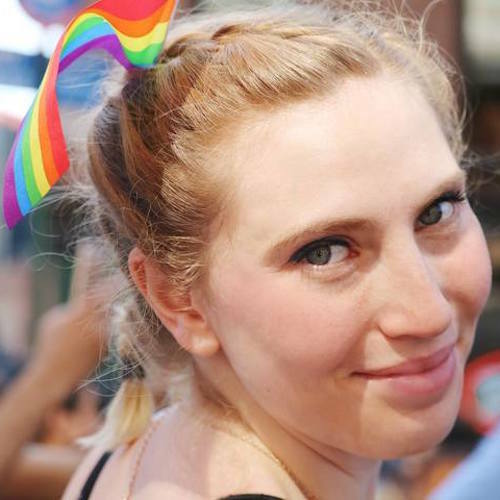 In fact, there are more than 100 times the amount of people who have died in relation to being LGBTQ than performing professional fire stunts. "I am far more likely to be killed because of marrying another woman than I was from being set on fire," Choi wrote in a Facebook post, where she noted that it is more dangerous for her to be a member of the LGBTQ community than a professional fire performer. Watch the girls on fire in the video below.